Category Archives: Michael Blaine Myers Jr.
Posted April 7, 2010 in Captain America, Michael Blaine Myers Jr.. This is just one in a series of vintage style comic character posters, designed by Iowa based artist Michael Blaine Myers Jr. 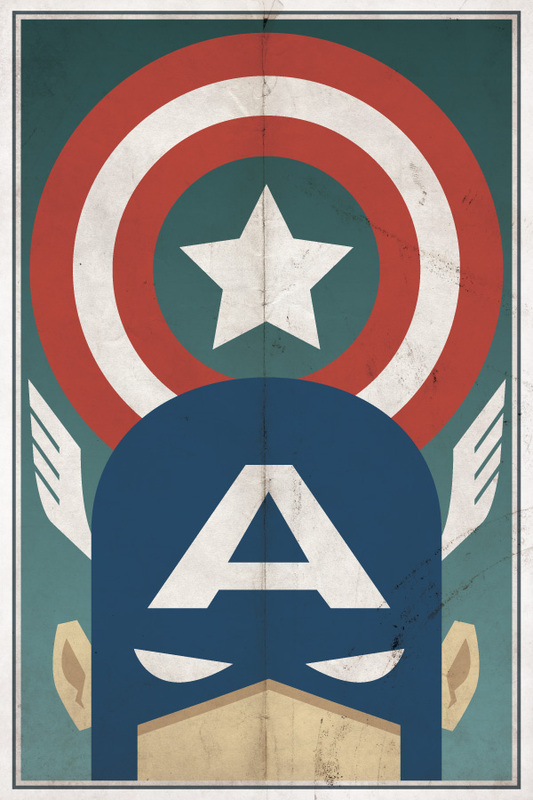 The full series of seven posters, which also include iconic D.C. heroes, are available to purchase at Imagekind. Micheal’s versatile artwork has also graced a number of T-shirts available from Threadless. You can find more of Michael’s work, including character designs for a Lost animation series, at his website, Flickr and Behance.